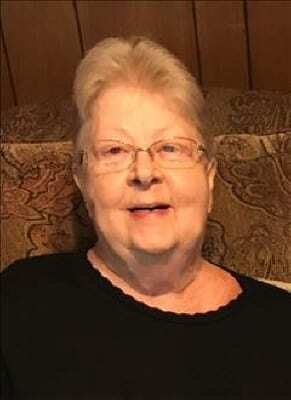 Margaret Allen, age 77 of Jasper, Georgia passed away Sunday, September 30, 2018 at Erlanger Hospital in Chattanooga, Tennessee. She was born May 18, 1941 to Rembert and Della Parker in Jasper, Georgia. Survivors include her son and daughter-in-law, Donald Allen and Grady Sue Allen; grandchildren, Kelly and Brian Fendley of Blairsville, Katy Saunders of Blue Ridge; great-grandchildren, Addi Kate and Krosby; sister and brother-in-law, Sue and J.I. Hyde of Jasper; brothers and sisters-in-law, Buck and Ruth Parker of Jasper, William and Marie Parker of Canton, Bobby and Teresa Parker of Talking Rock. Several nieces, nephews, and other relatives also survive. She was preceded in death by her husband, Millard Jessie Allen. Funeral Services will be held 2:00 p.m., Wednesday, October 3, 2018 at Salem Baptist Church with Reverend Alan Caylor and Reverend Adam Parker officiating. The interment will follow in the church cemetery. The family will be receiving friends at Roper Funeral Home Monday, October 1, 2018 from 6:00 p.m. until 9:00 p.m.; Tuesday, October 2, 2018 from 9:00 a.m. until 9:00 p.m.; and Wednesday, October 3, 2018 from 9:00 a.m. until 1:30 p.m .